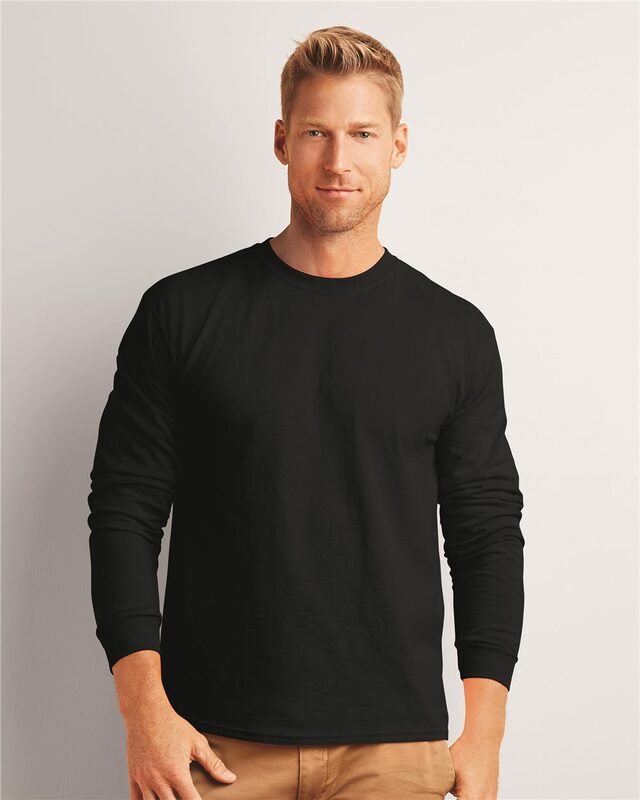 Gildan Ultra Cotton Long Sleeve T-shirt (2400) Let the cold winds blow! Long sleeves and natural cotton provides all the toasty warmth thats needed. 6.1 oz., pre-shrunk 100% cotton (Safety Green and Safety Orange are 50/50 cotton/polyester). Safety Green and Safety Orange are compliant with ANSI High Visibility Standards. Double-needle stitched neckline and sleeves. Quarter turned. Shoulder-to-shoulder taping.